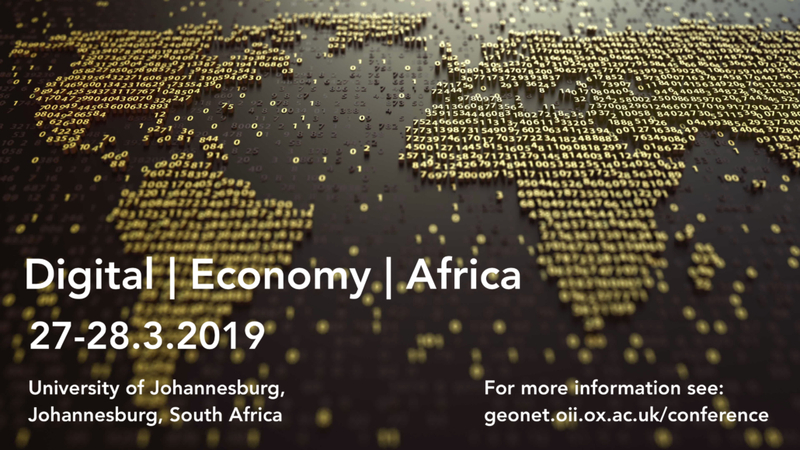 Dr Eleanor Marchant will be giving a talk titled “The limits and possibilities of African entrepreneurial storytelling” at The Digital | Economy | Africa Conference in Johannesburg. This conference brings together scholars, policy-makers, and key representatives from industry and civil society representing East, West, North, and Southern Africa for two days over talks, lectures, presentations, and panel discussion. These perspectives will be augmented by a select number of international experts, and key findings from the University of Oxford’s Geonet research project.